You Can Play Captain Toad: Treasure Tracker with a Friend Today! A new update for Captain Toad: Treasure Tracker will add two-player co-op to every level of the game and this update will be available today on Wednesday, Nintendo announced. There’s also paid DLC planned for the game that is scheduled to come out on March 14th. This DLC will include 18 new challenges, five brand new courses, and adds new objectives for existing courses. This upcoming content can also be played in the two-player co-op mode. 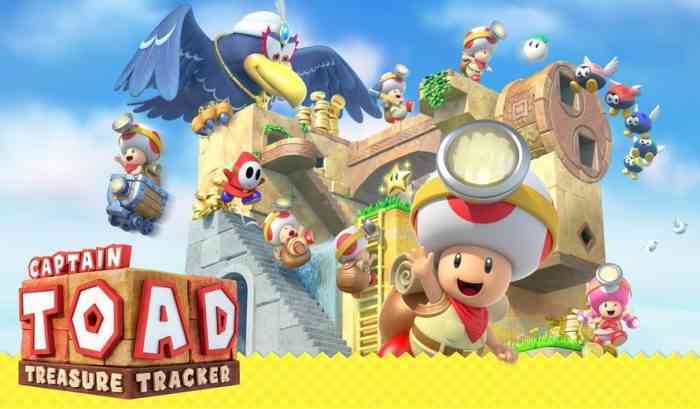 If you’re interested in purchasing Captain Toad: Treasure Tracker then you should read our review beforehand. What do you think of this news? Are you planning on buying that paid DLC or is there not enough content that makes it worth the purchase? Let us know your thoughts in the comments section below.